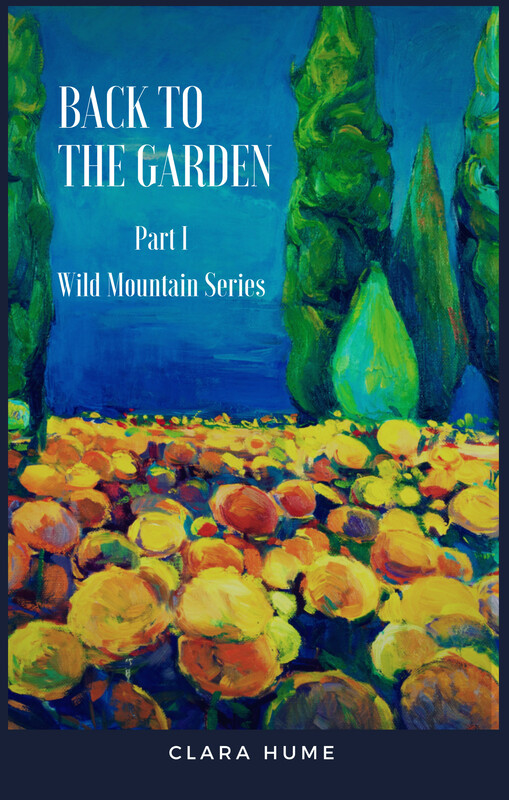 Back to the Garden is in its 2nd edition, launching the new Wild Mountain series in October 2018. The minimalism of the writing style makes the humans seem like pastoral people, experiencing life on very fundamental levels and in very fundamental feelings—happiness, sadness, horror, wonderment, fear, hunger, interdependence, helpfulness toward each other as a means of protective strength. One of the defining facets of eco-fiction is that the human perspective is only a small, subservient part of the wider, global perspective. The characters are portrayed factually but incompletely, as part of the ecological picture. This is a different sort of realism, a lighter, less ego-based realism than the probing, heavy, psychological torment of so-called modern realism. Books that are definitely unlike Back To The Garden would be Salinger’s Catcher In the Rye or Thomas Mann’s Death In Venice. “We craved the cold,” says one character, the cold of sparseness rather than the heat of crowded close contact. Though the characters gain their strength from each other, they gain it more from the mystery of nature. With mounting evidence humanity is on course to irreparably damage the planet, how many of us have wondered what life might be like for future generations who stand to face power, food and water shortages and endure extreme weather conditions? Rather than an end-of-the-world implosion or humanity packing up and moving to another planet, Back to the Garden explores the possibility that mankind might just be able to survive on earth in the face of global warming. Hume delivers a realistic story about a group of travellers surviving during a long trip across a continent devastated by Climate Change. Along with a dose of despair true of dystopian type novels this author dishes up a host of engaging characters which makes it difficult to put the book down. Above that she offers the reader a glimmer of hope. Perhaps when all is lost, we can go back to the garden. A well written book definitely worth the read. I loved it. What this book tells us is: maybe mankind can survive after all…but at what price! “Back to the Garden” is like going back to square one, the start of civilization. All technological advances are lost, there is no electricity and little fuel left. This is a world of growing scarcities. But is that “garden” mentioned in the book a new, revised garden of Eden? Maybe it is, and that is a comforting thought: that’s why this book is a dystopian novel with a smile. This was a wonderful debut novel. Ms. Hume handles numerous POV characters with great skill and uses them to great advantage; she weaves a tail populated with people we care about, one that keeps the reader engaged from start to end. In between she paints vivid pictures of a world that is unravelling in the face of global warming. I was reminded of Comrac McCarthy’s The Road, although Ms. Hume puts the blame for the dystopian future she paints squarely on our shoulders. It is a cautionary tale told well. A folksy tale in some unspecified future when life has become more simple and more basic, travel is harder, and people live local lives. The protagonists here live on the side of a mountain, eking out a life. They go on a journey to try to find old friends and family. Each chapter is told from the point of view of one of the protagonists. It works. It’s redemptive and hopeful. In this near future novel, Clara Hume tells us how different individuals might fare on a warmer, ecologically degraded Earth. It’s a post-apocalyptic novel similar to The Road but with more optimism, or The Dog Stars but with less violence. A group of survivors decide to leave their mountain refuge in Idaho and journey across the continent to visit family in Georgia and South Carolina. The chapters are all first person narratives, but told by different characters. This very effectively conveys how diverse individuals react to the joys, hardships, and terrors of a long journey across a harsh but familiar landscape. A journey that’s part standard apocalyptic narrative and part Wizard of Oz. Clara Hume has written a powerful prophecy of the future, and not so far away at that. If we don’t solve the pressing environment issues of today, the scenario she depicts may very well come to pass. I really liked this book. The book is about a small group of survivors who live on a mountaintop in Idaho. The world has undergone a dramatic climate change which has decimated most of the population. Those on the mountaintop have been living there for many, many years, but decide to journey out into the world to find their parents. Along the way, they pick up several survivors and form a family. It is dystopian in nature, but I really liked the characters and their relationships to each other. Gary Paul Nabhan (2016). Ethnobiology for the Future: Linking Cultural and Ecological Diversity. University of Arizona Press, p. 278. Martin Bunzi (2014). Uncertainty and the Philosophy of Climate Change. Routledge, p. 175.